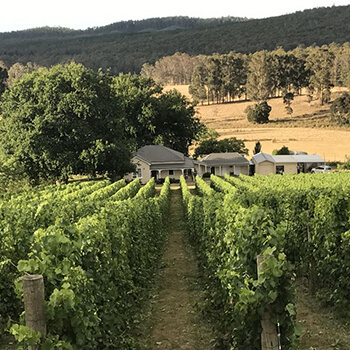 A search for the “terroir” of the famous French cool-climate areas of northern France in Australia led Andrew Pirie to buy land in partnership with his brother David, in northern Tasmania in December 1973. The vineyard was named Pipers Brook Vineyard after the local brook and is now part of history. 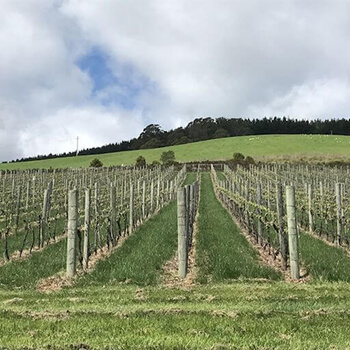 Pipers Brook scored some “bulls-eyes” in planting chardonnay and riesling close to the north coast of Tasmania. In later years they produced great sparkling wines and by the time Andrew left Pipers Brook, sparklings were their most acclaimed wine style world-wide. When the opportunity to apply his knowledge arose again, he could not resist making another sparkling wine. The brand is named Apogee, meaning the highest point. The goal of Apogee is to produce very high quality wines from a small, hand tended area. Andrew believes that the combination of the highly researched site with the latest knowledge of terroir theory is leading to wines which are very expressive of the terroir. Light gold with fine mousse and a suitable foamy collar when poured. 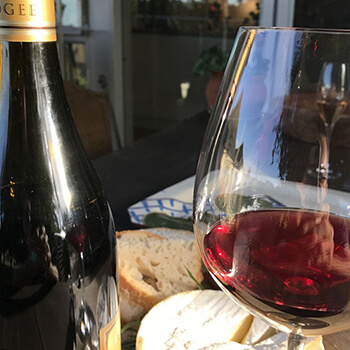 Aromas range from bready, yeasty overtones through to perfumed red fruits and lemon-rind with a faint salty oyster-shell character which is part of our terroir. For a sparkling the wine is full-bodied on the mid-palate thanks to the cool climate pinot noir component but the cool climate chardonnay ensures a lean and fresh finish.